Posted July 27, 2018 by Sophie Davies & filed under Features, Previews. This semi-autobiographical Sky sitcom from Idris Elba is based on his experience of growing up on a Hackney council estate in the 1980s. He stars as the patriarch of the family, inspired by his own father, alongside Madeline Appiah as his wife, Bill Bailey as his neighbour, and Jimmy Akingbola as his brother – a wannabe DJ and ladies’ man, who upends the family’s life when he arrives from Sierra Leone to move in with them. Elba may be best known for his roles in gritty dramas, but In The Long Run is about as far away from that as it’s possible to get. Charming and full of heart, it never goes so far as to become cheesy, plus there is some great attention to detail when it comes to the 80s setting. 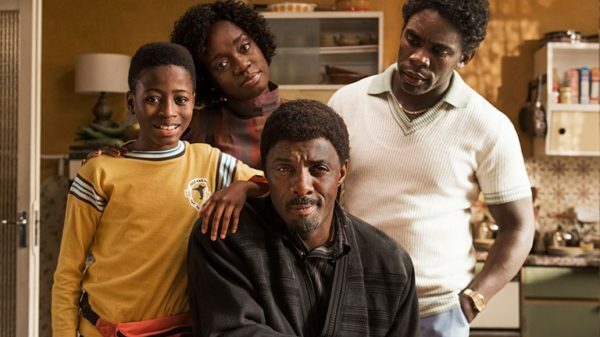 It also became a rather unexpected winner at the Broadcast Digital Awards in July, beating shows including This Country and Chewing Gum to be crowned Best Comedy Programme. Following two one-off specials that aired in 2016, Cunk On Shakespeare and Cunk On Christmas, Philomena Cunk (aka Diane Morgan) was given a full-blown five-part series for 2018. The result: a mockumentary about the history of Britain, all the way from the Big Bang to Brexit. There was doubt in some corners as to whether the character or the premise could sustain a full series, but with clever writing and a great performance from Morgan, Cunk On Britain proved to be enjoyable from start to finish. Highlights included interviews with in-on-the-joke experts, who were tasked with answering questions like “What’s the most political thing that’s ever happened in Britain?”, as well as a very silly running joke about the sitcom Brush Strokes. With no end of topics out there to be covered in this format, here’s hoping we will see more Cunk On… programmes in the future. 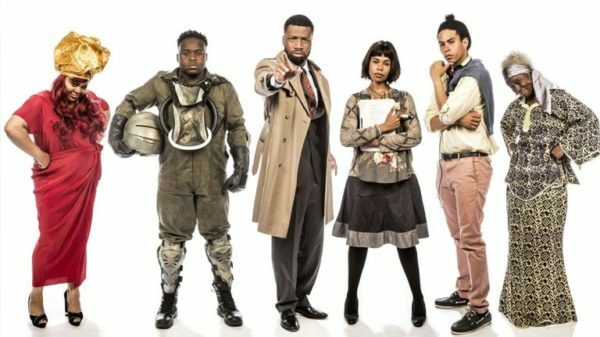 This fun BBC3 sketch show with an all-black cast began life as a pilot last year, and for anyone who noticed the positive reaction it got when it aired, it came as little surprise when a series was commissioned. Over the course of four fast-paced, high-energy episodes, Famalam provides a good mix of recurring sketches, including a ridiculous spin on Midsomer Murders, and one-off skits – some of which really took off on social media such as the fight over leftovers and the turf war between rival gangs. There are no ‘big names’ among the cast, but Samson Kayo, who gets a lot of the best parts, might just become one soon… he received a BAFTA nomination for his performance in the pilot episode alone. Marc Wootton is known for playing eccentric characters such as Shirley Ghostman and Mr Poppy from the Nativity films, and he recently added another one to his roster in Channel 4’s High & Dry – unhinged air steward Brett Sullivan. The premise of Wootton’s latest show is that, after a plane crash, Sullivan and four passengers find themselves stranded on a remote tropical island, and it quickly emerges that he is significantly less eager to get rescued than the others are. The castaway comedy benefits from a top-notch cast including Vicki Pepperdine (Getting On), Harry Peacock (Toast Of London) and Asim Chaudhry (People Just Do Nothing), as well as a beautiful setting due to it being shot in the Seychelles.